Some women get married soon after becoming mothers. Some are even still breastfeeding. 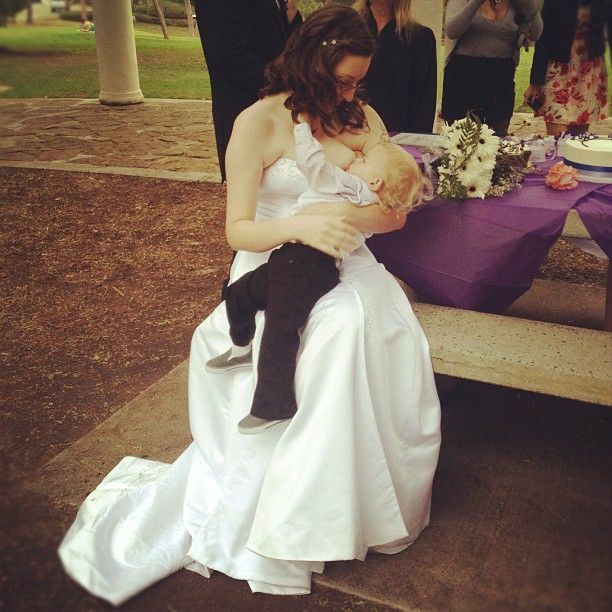 Here are tips and tricks to find a wedding dress that is breastfeeding-friendly. Strapless. 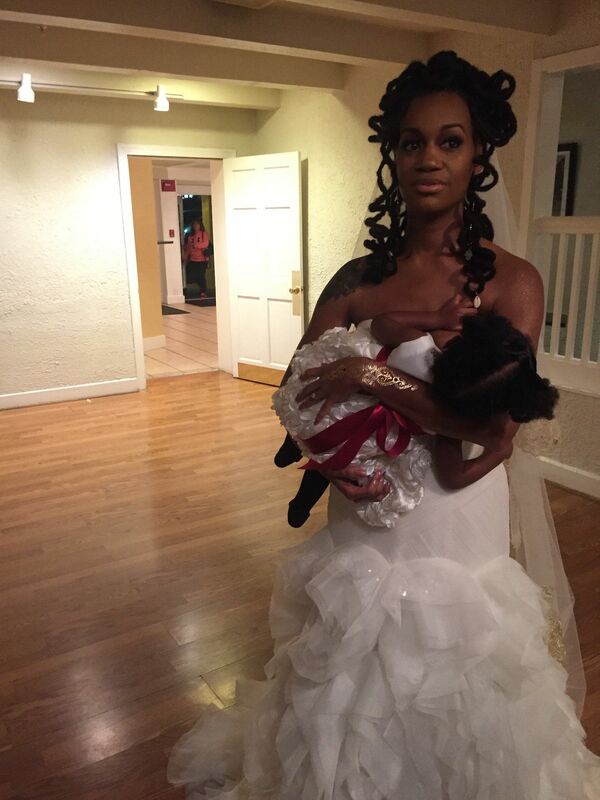 A strapless not-too-tight gown can just be pulled down to nurse your child or to pump in. 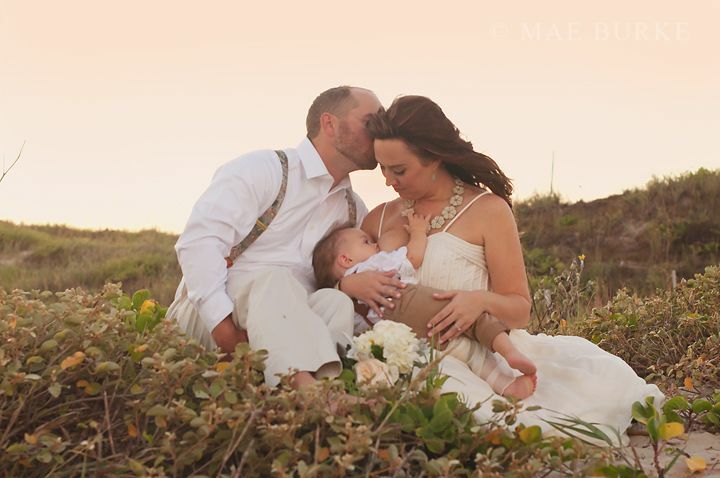 If you are modest, you can use a breastfeeding cover or go into another room for privacy. Halter. A halter-top style dress that ties in the back of the neck can be untied for the breasts to be exposed to nurse or pump. Strappy. A strappy top dress that is loose enough in the straps and bust or adjustable can be pulled down or aside to be able to nurse or pump. Loose bust. Even a dress with sleeves can be pulled down to nurse or pump when the bust is loose or stretchy. The goal is to be able to at least free one breast, if both isn’t possible. Hanging straps. Not sure what the proper term for these straps are, but here is a photo above. These allow the same or similar flexibility of the bust to be able to nurse or pump. The important thing is to try on the dress first and expose a breast or both to be able to tell if you would be able to pump or nurse in the dress. If you can, nurse in the gown or pump while you’re trying it on. 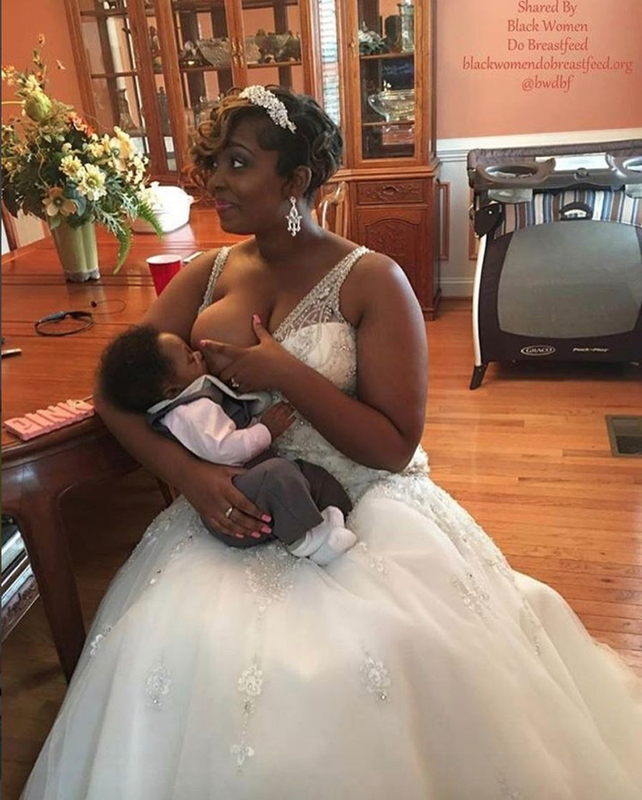 Pumping tip: For brides who exclusively pump or who’s child couldn’t attend the wedding (or they’re sleeping through a feeding), a discreet way to pump is to use freemies insert cups along with a portable pump such as a medela swing. You’re welcome! Got any tips on finding a breastfeeding-friendly dress? 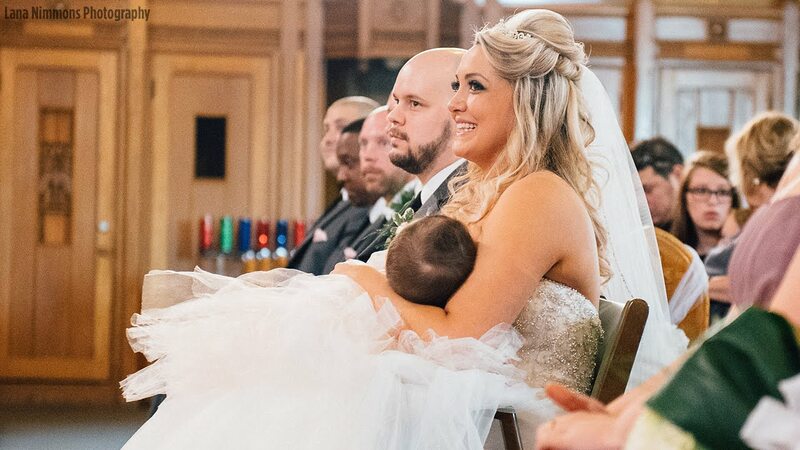 Did you breastfeed your baby at your wedding, or at a friend’s wedding? Share your experience below!